The Economic Freedom Fighters (EFF) in Tshwane says it blundered in supporting the outgoing mayor Solly Msimanga, who was on Tuesday replaced by Stevens Mokgalapa from the same Democratic Alliance (DA) political party. EFF Tshwane regional chairperson Moafrika Mabongwana told Council that his party did not support the nomination and election of incoming Tshwane Mayor Stevens Mokgalapa because they knew “very little” about him. “We want to be clear to the people of Tshwane that we did not vote for the new executive mayor [Mokgalapa], precisely because there is little known about him. We cannot risk supporting a person of unknown credentials and capacity to lead a municipality as big as Tshwane,” Mabongwana said shortly after Mokgalapa’s election. Mabongwana told Mokgalapa that the EFF will afford him the respect that is due to an elected mayor. 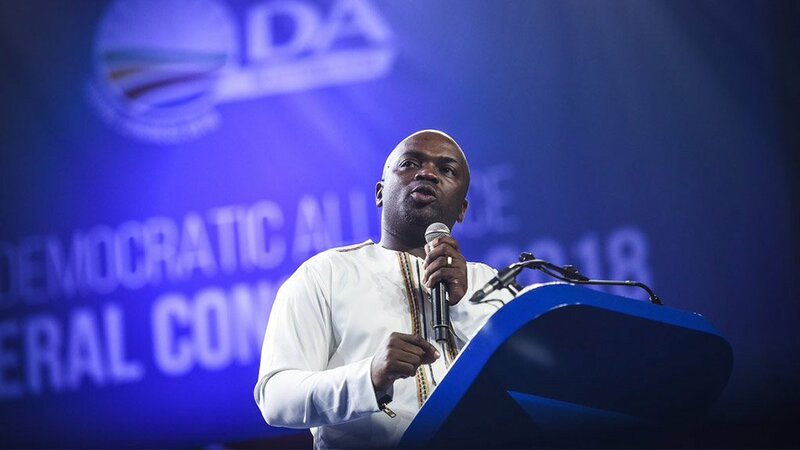 Msimanga, who resigned last month, was elected Tshwane mayor in August 2016 after leading the DA to outrun the African National Congress (ANC) at the August 3 tightly contested local government elections. Support from parties including the EFF consolidated Msimanga’s ascendancy to the top seat in South Africa’s capital. The DA has 93 seats and the ANC has 89. The rest of the seats are occupied by Pan African Congress, Congress of the People, Africa Christian Democratic Party and the Freedom Front Plus, which have a coalition agreement with the DA. The EFF has 25 seats. On Tuesday, Mokgalapa was the only nominated member for the mayoral post. The ANC, through Councillor Aaron Maluleka, indicated that it was not taking part in the election. The EFF didn’t nominate a candidate either. The nomination process got off to a rocky start as the ANC’s councillor Lesego Makhubela said: “So of all the black faces here in Tshwane, you have to get a guy from Cape Town?”. Tshwane Speaker Rachel Mathebe switched off Makhubela’s microphone as he was still raising his “point of order”.